This is the second post in a week long spotlight on the NOAA Marine Debris Monitoring and Assessment Project. Since beginning in 2012, the NOAA Marine Debris Monitoring and Assessment Project (MDMAP) has brought forth invaluable data, which continues to increase our shared knowledge of marine debris. Partners from around the world have contributed to this dataset by conducting 4,421 surveys at 335 monitoring sites in nine countries. 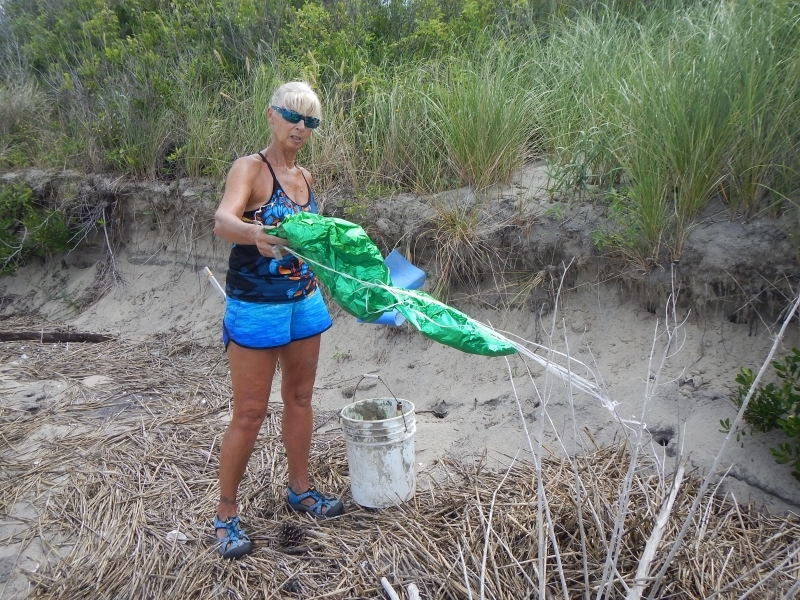 The NOAA Marine Debris Program (MDP) coordinates these efforts, which would not be possible without the dedication of MDMAP partners who lead the charge in collecting data through their passion for the ocean. Both new and experienced MDMAP partner organizations and volunteers contribute time, energy, and resources to expand our understanding of this global issue. To date, we have had 71 partners involved in the MDMAP shoreline monitoring efforts. Below are just a few of our stellar partners. The Greater Farallones National Marine Sanctuary (GFNMS) of California and the Olympic Coast National Marine Sanctuary (OCNMS) of Washington became MDMAP partners in 2012. Following the 2011 Japan Tsunami, the MDP joined forces with these two Sanctuaries to monitor the influx of tsunami debris to the West Coast. Between 2012-2018 GFNMS volunteers conducted monthly MDMAP surveys at Drakes Beach, Limantour Beach, South Beach, and North Point Beach. Dedicated volunteers with the OCNMS also conduct monthly surveys, sometimes surveying up to 15 sites per month! Prior to joining the MDMAP network in 2012, OCNMS had been conducting shoreline monitoring of marine debris since 2001. Multiple organizations in Virginia joined together to conduct shoreline surveys. Beginning in May 2014, the Virginia Coastal Zone Management Program, the Virginia Aquarium, and Clean Virginia Waterways monitored sites at Chincoteague National Wildlife Refuge (NWR), Fisherman Island NWR, Back Bay NWR, and Grandview Nature Preserve. Together, they are producing a final project report that contains four years of data, including marine debris loads from four Atlantic hurricane seasons. 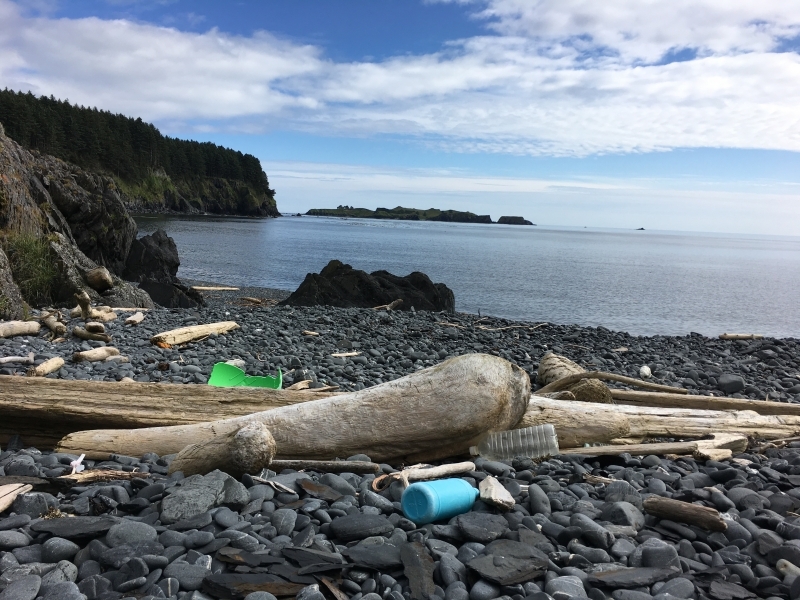 Community members of Kodiak, Alaska, led and coordinated by the Island Trails Network, are utilizing the MDMAP to better understand how and what types of marine debris accumulates on local shorelines. These organizations and volunteers are addressing the large amounts of marine debris found on Alaskan shores through removals on 80 beaches in and around the town of Kodiak. With the support of an MDP community-based removal grant, volunteers are conducting regular cleanups and clearing away items, such as fishing gear and consumer waste. Volunteers are also utilizing the MDMAP by monitoring selected sites for debris before and after cleanups. - The longest monitored sites (six years) are at the GFNMS in California and the OCNMS in Washington. - Did you know that sites in Alaska are only monitored seasonally? Due to the remote location of these sites and inclement weather during winter months, these sites can only be monitored in the summer and early fall. - MDMAP monitoring surveys have been conducted at two sites in the Southern Hemisphere, including Tonga by the Vava'u Environmental Protection Association and in Ecuador by Escuela Superior Politecnica del Litoral. - On four separate dates/occasions, the group Sharkastics, recorded and collected more than 7,000 debris items per survey at Ka‘ehu beach in Maui, Hawai‘i. The most marine debris items collected in one of their surveys was 8,914 items! - There are MDMAP monitoring sites in 13 in National Parks. We are excited for the MDMAP network to continue to grow. For more information about the work of some of our partners, check out the MDMAP Partner Project Highlight page. If you are interested in learning more about MDMAP and becoming a partner organization or volunteer, visit the MDMAP webpage. To keep up to date on the MDMAP, sign up for the “Litter Letters” newsletter by emailing us at MD.Monitoring@noaa.gov.